In our 3000-square foot gym, you will receive superior therapy from four disciplines; Respiratory, Speech, Occupational, & Physical Therapy. When the very best in respiratory care is needed, Meadows is there to provide it to those who need it most. The Transitional Respiratory Care Program is designed to not only improve the clinical condition of our resident, but to improve the quality of their life as well. Our rehabilitation and respiratory therapy departments will work diligently with every resident to ensure that as respiratory function improves, the activities of daily living are addressed. Meadows focuses on returning the resident to an active and productive lifestyle as they transition to a lesser level of care. This style of personalized therapy can benefit individuals with diagnosis such as COPD, pneumonia, post ventilator and tracheostomy. 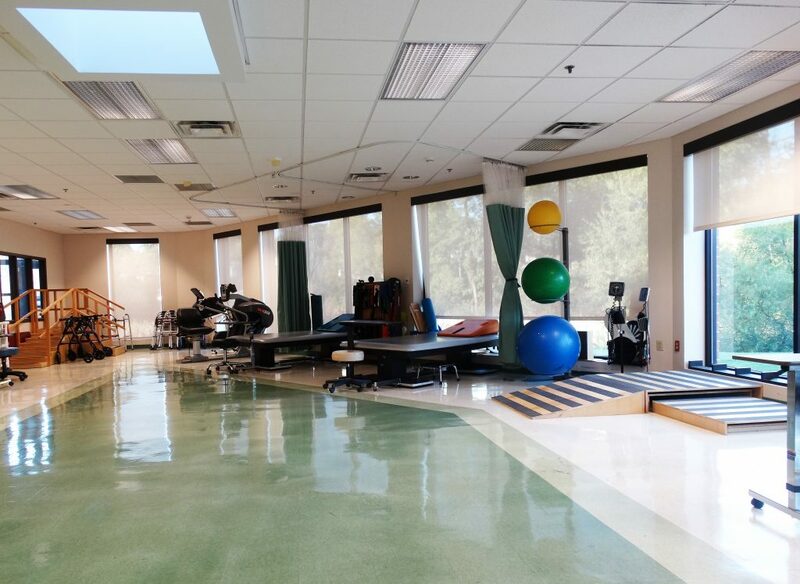 Physiotherapy works with individuals on aspects such as ambulation, transfers, range of motion & strengthening, pain management and neurological rehabilitation. Occupational therapy programs target, access and develop training and recommendations to assist residents to reach their highest level of independence. Speech therapy assists residents with speech, language and swallowing disorders. This style of therapy can also assist in areas such as cognitive-linguistic and confusion or memory deficits.